Provide comfort for the family of Thelma Bellamy with a meaningful gesture of sympathy. 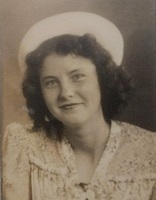 Thelma Ruth Bellamy, age 94, of Conyers passed away April 6, 2019. Funeral Services will be held Tuesday at 1:00pm at Scott Ward Funeral Home Chapel with Rev. Dennis Bellamy and Pastor Steve Reeves officiating. Interment will follow at Fairview Cemetery. The family will receive visitors Monday from 6-8 at Scott Ward Funeral Home. Preceded in death by: Husband – Claud Bellamy; Parents - Ralph Mark and Minnie Lou Chunn; Brother – Ralph Chunn Jr. Survivors include: Daughter – Joyce Bellamy of Monticello; Sons – Ronnie and Carol Bellamy of Covington and Wayne Bellamy of Monticello; 7 Grandchildren, 18 Great Grandchildren; 4 Great Great Grandchildren; Nieces and Nephews. 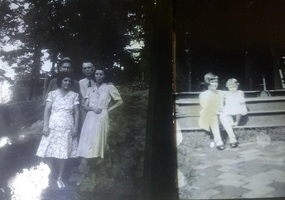 Mrs. Bellamy was a member of Ormwood Baptist Church and Gresham Park Ladies Club. To plant a memorial tree in honor of Thelma Ruth Bellamy, please visit our Heartfelt Sympathies Store.